For mountain bikers, the Massif Sud Bourgogne is for you ! It’s a rugged territory offering beautiful courses between Tournus, Fleurville, Sennecey-le-Grand and Cluny. 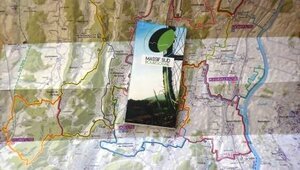 524 km marked out on 23 circuits of four levels of difficulty of the edges of Saône to the lake of Laives passing by La Salle and Cluny. From the very easy (4km with a drop of 55m) to the difficult (65km with a drop of 1200m), there is something for everyone ! Map available at the Tourist Office at 1 €.